Welcome to the Fit Small Business QuickBooks Online training course! In this lesson, we’re going to cover how to reconcile bank and credit card accounts in QuickBooks Online. Why is it Important to Reconcile your Bank Accounts? Similar to your personal bank accounts, it is important that you reconcile your business bank accounts on a monthly basis. Reconciling is the process of matching the transactions on your bank statement to what you have recorded in QuickBooks. Any discrepancies between your records and the banks are resolved in a timely manner (e.g. a bank deposit that was posted to the wrong amount by the bank). Timely notification of any fraudulent transactions. For example, if you notice transactions listed on your bank statement that you did not authorize, you can notify the bank as soon as possible so that they can investigate. What are the Benefits of Reconciling your Bank/Credit Card Accounts in QuickBooks Online? All transactions on the bank statement get recorded in QuickBooks. Your financial statements such as the Profit & Loss statement and Balance Sheet are up-to-date. You are able to run bank reconciliation reports that will provide the details of the items that have cleared the bank and those that remain outstanding (uncleared). How Do I Reconcile my Bank/Credit Card Account in QuickBooks? Before you follow the steps to reconcile, be sure that you have your bank/credit card statement handy for the account that you want to reconcile. We will refer to the bank statement often during this process. Step 2 – Select the Bank/Credit Card account you would like to reconcile. Account – From the drop-down, select the bank/credit card account you would like to reconcile. Ending balance – In this field, you will enter the ending balance that appears on your bank statement. Ending date – Enter the ending date of your bank statement in this field. Start reconciling – click the “Start reconciling” button to proceed to the next step. In the next screen, you will see the new & improved reconciliation layout! Below is a screenshot and a brief overview. Statement Ending Balance – This is the amount you entered from your bank/credit card statement. Beginning Balance – This amount is the ending balance from last month’s statement. QuickBooks will populate this field for you. Cleared Balance – As you begin to reconcile each item, this amount will change depending on whether you have selected a payment or a deposit transaction. Payments – This amount will increase as you select payments to reconcile from the detailed transactions section below. Deposits – This amount will increase as you select deposits to reconcile from the detailed transactions section below. Difference – This field is calculated by QuickBooks. It is the difference between your statement balance and the cleared balance. Your goal is to get to a difference of zero. 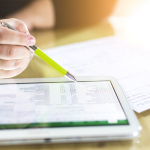 Transactions – In this section, you will see all of the payments and deposits that have been recorded in QuickBooks as of your statement ending date. As you can see in the screenshot above, you can filter this section to just show Payments, Deposits or all by clicking on each of the tabs. There is no right or wrong way to reconcile. However, I suggest that you reconcile the area with the least number of transactions first. Remember that our goal is to make sure that every deposit and withdrawal listed on the bank statement is marked as “cleared” in this reconciliation window. To mark an item as “cleared”, you simply click the radio button to the right of Deposit as indicated in the screenshot below. Let’s say that you decide to start with deposits first. Once you have marked all of the deposits in this window that appear on your bank statement, verify that the total deposits cleared matches the total deposit amount on your bank statement. In the example below, total deposits on our bank statement ($5017.17) match the total deposits we have “cleared” in QuickBooks ($5017.17). If it does, you can move onto payments. However, if your deposits are not in balance, head over to the next section for tips on how to troubleshoot this out of balance. Repeat the same process of marking items cleared that appear on your bank statement for withdrawals (payments). Make sure that the total payments cleared in QuickBooks matches your bank statement. In the example below, total withdrawals/payments on our bank statement ($2496.53) match the total withdrawals we have “cleared” in QuickBooks ($2496.53). If it does, you can move onto the next step; however, if your withdrawals/payments are not in balance, head over to our troubleshooting tips section. Once all deposits and withdrawals/payments match the bank statement, you should have a difference of $0.00 as indicated in the screenshot below. Click the “Finish now” button to generate the bank reconciliation reports. Behind the scenes, QuickBooks will mark all of the deposits and credits that have been reconciled as “cleared”. Below is a snapshot of the detailed bank reconciliation report that QuickBooks will generate. Tip #1: It is important that you save all bank reconciliation reports for every bank/credit card account. Create a folder for each bank/credit card account to keep these reports in. To learn more about organizing key reports/documents such as this, check out our Small Business Bookkeeping Guide. Tip #2: Bank reconciliation reports are one of the Top 5 reports that auditors will request. In my experience as an auditor, if you are not able to produce these reports I can promise you that the audit will not go well for you. If possible, narrow the search down to the transaction type. Figure out if you are out of balance with the withdrawals and payments or deposits and credits. If you are out of balance for deposits and withdrawals, then tackle them separately. In other words, balance withdrawals first and then move onto deposits and credits or vice versa. Look for the exact dollar amount that you are off. For example, if your difference is $21.50 then look for a transaction for this amount on your bank statement and then on both the withdrawals and payments section and the deposits and credits section of the reconcile window. Check to see if there are any transactions in the reconcile window that you did not select. 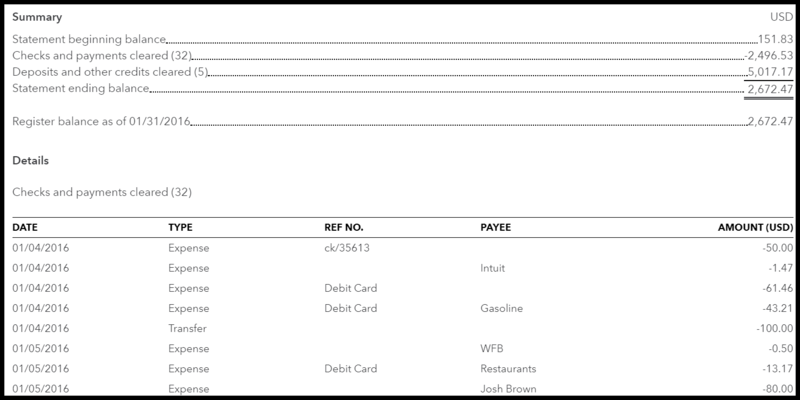 If the transaction is on your bank statement then the radio button should be marked in the reconcile window. If you do have a transaction on the bank statement that is not in QuickBooks then you will need to add it to QuickBooks. To do so, just select Finish Later from the drop-down to save your work. If the missing transaction is a withdrawal/payment, enter it as you normally would. In our how to write and print checks lesson, we walk you through step by step on how to create a check in QuickBooks. Take a break. If you have been at it for a while and you need a break, select the Finish Later option to save the work you have done so that you can easily pick up where you left off. Sometimes, taking a breather and coming back can help you spot what’s causing the difference. 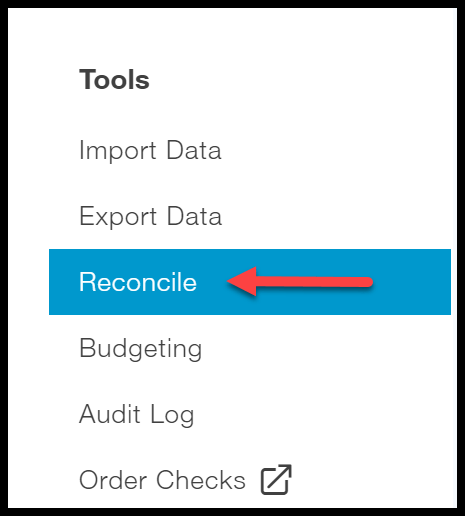 If you do hit the reconcile button and you have not figured out the difference, QuickBooks will record the out of balance in a miscellaneous expense account called unreconciled discrepancies. Of course, if we are talking a small amount (i.e. $5.00 or less), then it might be worth your while to move on. At the end of the day, you get to determine what amount you are comfortable with. What Impact does Reconciling Bank Accounts Have on my Financial Statements? In the check register, reconciled checks and deposits will be indicated with the letter “R” as indicated below. TIP: Typically, once a bank transaction is reconciled, you do not want to make any changes to it. This is primarily due to the fact that you have balanced it with your bank statement. You can edit the account if you need to (i.e. if you categorized something as meals and entertainment, and it should have been office supplies), but you do not want to make any changes to the date or the amount. If you do, it can cause your financial statements to be inaccurate and you will no longer be in balance with your bank. That wraps up the section on How to Reconcile Bank/Credit Card Accounts in QuickBooks Online. The next lesson in our QuickBooks Online Training Course will be How to Manually Enter Business Credit Card Transactions. In this lesson, we will walk you through what to do after you have imported your credit card transactions into QuickBooks. Hey Joane, thanks so much for the positive feedback! Glad you are enjoying our QuickBooks Video Tutorials! Hi Crystal, thanks for your teachings! I have a problem in a reconciliation, I mistakenly deleted some transactions that were already reconciled … I have made the process indicated by the videos and tutorials, but I can not reconcile! Glad you are enjoying the video tutorials. In general, if you know which transactions were deleted you can just add them back to QuickBooks and then mark them as reconciled again by adding the check mark directly in the check register. However, if you are not sure which transactions were deleted (but you know the month they belonged to) then you will need to find a QuickBooks ProAdvisor who can actually “undo” the bank reconciliations for the months in question. The “undo” tool is only available in the QuickBooks Online Accountant (QBOA) version. If you have this version then you should see an option to undo reconciliation where all of the reconciled months are listed. The general issues with bank reconciliation is either a transaction is not being shown or a transaction is shown but already been reconciled. Thus, you will need to refer back to the bank to do the rectification. Hey Warren, thanks for offering your tips on bank reconciliations! Thank you so much for sharing the step by step process for bank reconciliation in Quickbooks Online. Now it seems very easy to reconcile the bank account in QuickBooks. Hi Jac, you are very welcome! Thanks for being such a “fan” of our website! Are prior months bank reconciliations saved in QB to access later? Our HOA books were transferred from the QB Enterprise desktop version to QB online and we have not been given the bank recs and statements from this year. The homebuilder in March just turned over the HOA to the homeowners and they transferred our books into QB online as they said they could not be transferred into the QB desktop version. I am learning from your website, and am getting no help from the builder. Nor have I been able to get them to send our current years bank recs and statements. So I would like to at least be able to see these online. Hi Lois, I’m so glad to hear that you are learning QB from our course! To answer your question yes every reconciliation is saved in both the desktop and online versions of QB. To access the reports online just go to Reconcile and you should see a list of reconciliation reports that you can click on to view. 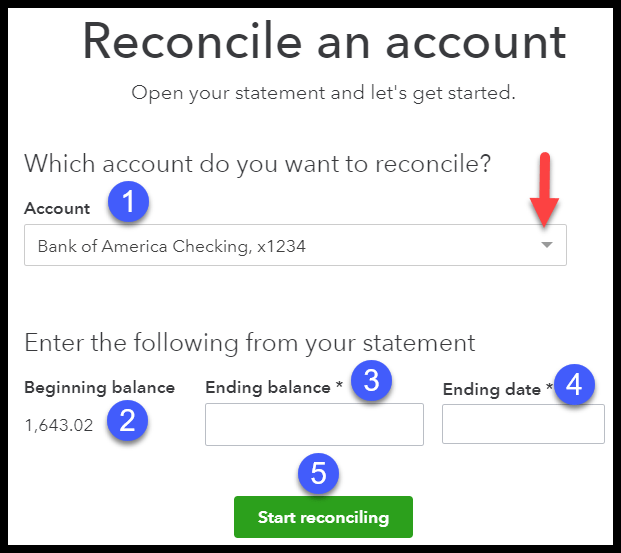 If you are not sure how to get to reconcile, watch the bank reconciliation tutorial which can be found here:https://fitsmallbusiness.com/bank-reconciliation-quickbooks-online/. There is no reconciliation history for this account, since it hasn’t been reconciled before. I know that they have reconciled before but it would have been done in their QB Enterprise version that was transferred to our new QB online system. So does this mean that those recs didn’t transfer? Also, do you happen to know if you inactivate an account does the transactions that go with that account for the current year get deleted so to speak from the current year numbers? 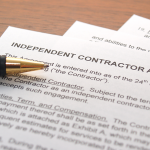 We are an HOA and the builder had just been changing the customer name when a house was sold between either the builder and homeowner or between homeowners. What that did was make all transactions for the prior owner now look like they belong to the new owner and that shouldn’t be that way correct. I believe you should inactivate the old homeowner account and set up the new homeowner with their own account. I just don’t know how these accounting programs work. I have never worked with any kind of accounting system like quicken, quickbooks, etc. Hi Lois, apologies for the delayed response. Unfortunately I do not believe that your reconciliation history in QB Enterprise will transfer over to QB Online. Therefore, it is very important for you to keep the reconciliation reports that exist in the desktop program. As far as inactivating an account; yes the transactions that go with the account for the current year will still show up on reports (even though the account has been inactivated). You are also correct with how to handle this going forward. Instead of changing the customer name you want to inactivate the old customer and set up the new homeowner with their own account.